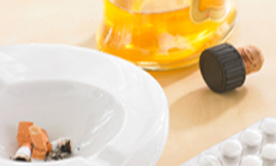 Primary Care Solutions offers family oriented, community based substance abuse services. Our services are provided by well trained trauma informed staff implementing trauma informed care. PCS substance abuse program serves both adolescents ages 12-17 and adults. Research shows the importance of family and natural support involvement in the treatment of adolescents. In an effort to increase the success of our adolescents, parent involvement is required. The Seven Challenges has been proven successful in independent national research studies in reducing drug use, including a statistically significant reduction in aggressive behavior and improvements in mental health measures. This evidence-based program is compatible with Primary Care Solutions, Inc treatment program in that it begins the process with youth on their personal level, not where others wish they would be. Working through The Seven Challenges helps adolescents understand what needs they are meeting by using drugs, what harm they are causing, what risk they are taking, and What it entails to give up a drug-using lifestyle. This new program raises consciousness, inspires hope, and motivates informed, internally-driven, sincere decisions to change. To succeed in working with youth, the Primary Care Solutions, Inc. staff places special emphasis on creating a climate of mutual respect within which individuals can talk openly and honestly about themselves. © Copyright 2015, Primary Care Solutions. All rights reserved.